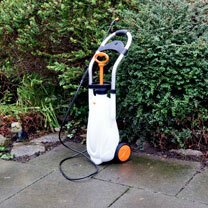 The compact and portable trolley pressure sprayer is perfect for large gardens and mobile gardeners. 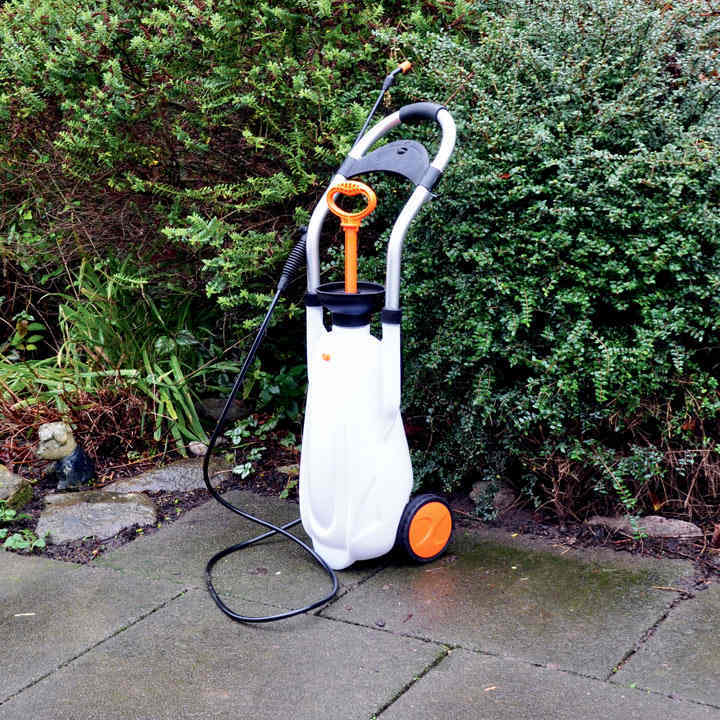 It has a large, translucent 12 litre tank with a hand operated pump to build up the pressure, a pressure release valve and wide funnel-shaped filling inlet. The hose is 2.5 metres long with a 65cm lance. Featuring an adjustable height aluminium handle with a soft grip cover. Dimensions 87cm high, 30cm wide and 33cm depth.